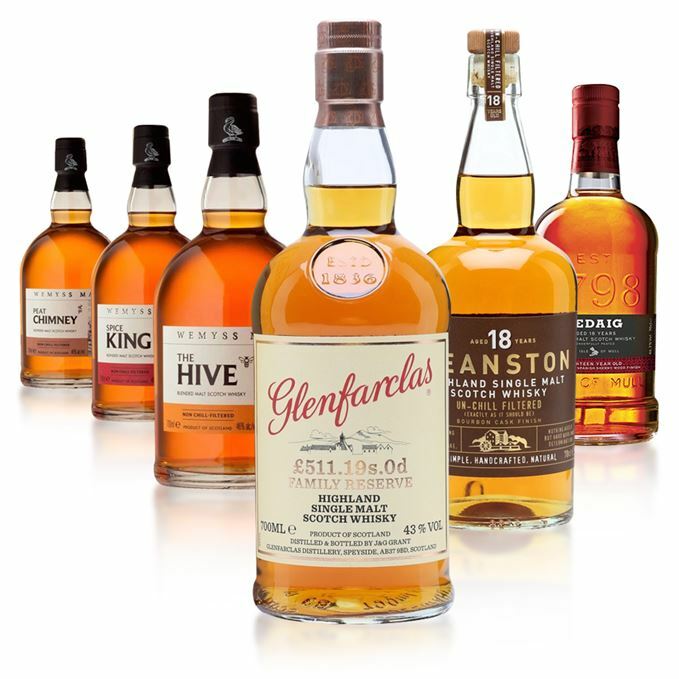 Three creditable Wemyss blended malts, a mixed bag from Burn Stewart and a shy (by distillery standards) Glenfarclas make up this week’s batch, tasted and assessed by Chief Engineer Dave Broom. 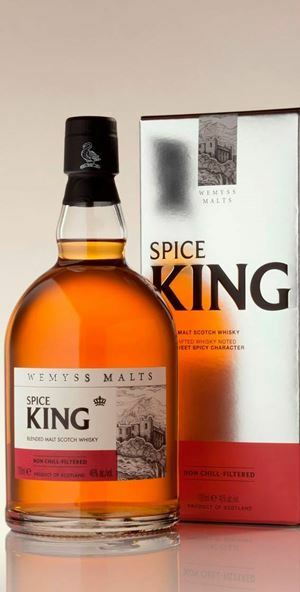 Subtly sweet with a hint of honeysuckle (say this about Wemyss, their descriptors are usually bang on), but also a little shaving of oak and nuttiness adding dryness. In time, as it opens – even without water (which should be added sparingly, by the way) – it softens into orange blossom and syrup. Clean and medium-weight with just a little heat to it – those bees sting. Then it settles back into that heavy honeysuckle flavour. Water allows a better spread over the tongue, bringing out a fruited waxiness. Racy red fruit enlivens the finish. Sweet, balanced and keenly priced. What are you waiting for? Hazy memories of drowsy summer afternoons. The immediate impression is how well-balanced all the elements are, with the smoke, initially at least, playing a slightly discreet role. It then begins to come forward – especially with water – giving images of a dying campfire on the beach, some seaweed, lemon posset and wet lichen. An amazingly exotic note to start that brings to mind frankincense, resin, clove and sweet black fruits, then attar of roses. Water sadly kills this, but you do get this almost glossy smokiness which stretches out to the back palate. Pears and red pepper flakes, then light smoke. Very well put together, great balance and a steal at the price. The interior of Dunyvaig Castle when the Lords of the Isles were in residence. A touch of the old farmyard funkiness, a little Sherry and moist woods in autumn. An added background note of dried fruits and nut bowl. All in all, very warming with some smoke lurking behind. A generous palate with Szechuan pepper and dry-roasted coriander and mustard seed. It is fairly hot, which masks what seems to be an interesting mix of dried fruits and chocolate. Water softens things. Old paper, Victoria plum skin, hot. Well enough balanced, but just a little edgy. Autumn Sunday walk, cold wind on the nose. Nice to see Deanston with some age on it. A clean and slightly waxy/fruity nose. 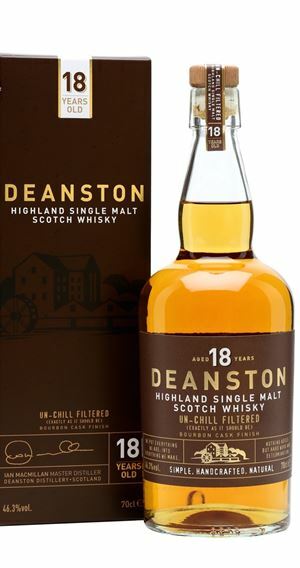 Deanston is the distillery which benefited the most from Burn Stewart’s decision to up strength and stop chill-filtering. Water shows a little gawkiness, so keep it neat. Medium weight. Deliciously sweet start with juicy fruits. All quite plump and well-covered with that waxiness smearing itself over the back palate. Well-balanced with some complexity. Water reveals sweet fruits, dry oak and a crumble of cereal. Sweet to start, then dries rather suddenly. Ian Macmillan’s farewell to the River Teith – which sounds like it could have been a Michael Marra song. Reason enough to revisit Marra's 'General Grant's Visit to Dundee'. 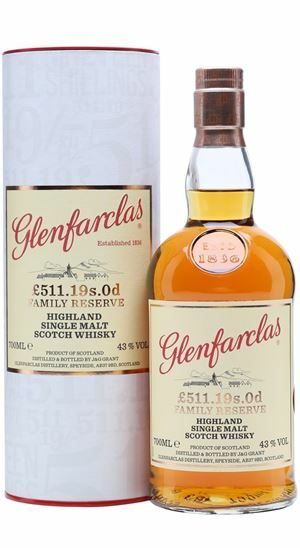 Lighter than usual for ‘Farclas, but you still get positive Sherried notes that initially emerge like a cross between Manzanilla/light Palo Cortado, with lovely freshness allied to baked fruits, hazelnut before deepening into Highland toffee, then clover honey. Clean with some light tannins. This is where you get some of the distillery’s signature depth and dunnage warehouse-like earthiness. More rooted, indeed rooty, but never loses the rather graceful sweetness. Water doesn’t help things at all, so keep it neat to maximise impact – and pleasure. Having Glenfarclas in subtle and understated mode might surprise some. The unusual name refers to the price paid by the Grant family for the distillery. Sipping Sherry at sunset. The day’s residual heat seeps from the stones. 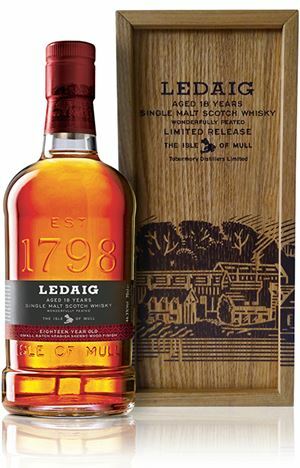 Ahh Ledaig… It’s… well... it’s rubbery. Think of a bicycle inner tube, new wellies or a Kwik-Fit depot. A slight agricultural note as well. With water the Kwik-Fit depot bursts into flames. Smoke comes through from the start, drying and unbalancing the palate. Oilier than the nose suggests, but pungent and bone-dry. A lifeboatman wearing new sea boots racing through Tobermory on his way to a blazing boat. Batch 7 25/09/2015 One of these whiskies is described as ‘truly glorious’, earning our highest score yet. But which?